A long time ago, in this very land, a man and his son went out fishing. They caught many giant fish, but that was not all. While sitting on a log, a toad hopped up beside the boy. The boy momentarily surprised by this, reached over and grabbed the toad thinking it would jump away like most of the toads he had tried to catch. This one he was able to catch without much fuss, almost like that was the animal’s desire. They catch a few more fish that day and head home, the boy with his prize and the man with the fish. It’s time for dinner when they get home, and while his mother is preparing the fish, the boy goes outside to get insects and spiders for his new pet. The toad greedily gobbles them up. After dinner the boy went out to get more bugs and when he comes back to the cage, notices the toad has already gotten bigger! He throws the bugs in with the toad. He greedily gobbles them up and before his very eyes the toad doubles in size! Then the toad does something even more unusual- it opens his mouth and speaks. He says one word, simply, “MORE!” Soon the toad isn’t satisfied by mere insects, so the boy starts feeding him mice. Simply, “MORE!”- The toad barks, after every meal. It’s always hungry, always wanting. Soon mice aren’t enough either and he’s fed rats, then rabbits, then dogs. One day the man is looking for his boy, who had just been feeding the toad. He sees at the feet of his child go down the gaping mouth of the enormous toad. He runs to the kitchen to grab a knife, to free his boy from the toad’s bloated stomach. When he gets close enough to strike the animal, the toad greedily devours the man’s arms. Simply, “MORE!”- The toad roars. The man kicks the toad in the belly, making him release his lost limbs, but not the boy. Using his legs, he puts his arms in a bag and goes to the doctor. It takes a while to get to the doctor, since he lives miles away. During this time his arms are rotting away. When he gets to the doctor, he’s told that there’s nothing he can done to repair the damage done. The limbs are too rotten and he is given artificial arms instead. On the way home he stops at a local shop and purchases something to kill the toad. When he finally gets home, he finds the animal sitting on the couch. It surveys the room like a despotic king, observing his kingdom. He lazily looks at the man. Simply, “MORE!”- He thunders at the man. The man looks down at the floor in front of the creature, he sees laying there his wife’s shoes. The beast has eaten his whole family! A wave of anger floods the man and he pulls back the blade. Trying to shield itself with his front legs, the man chops them off. The man pulls back for another strike and takes off the thing’s head. Exhausted from the events of the past couple of days, the man collapses. It’s not only from being tired that he falls, though. The toad’s bite has become infected and he is dying from the wound. He spends the week in agony; he can’t swallow and finds it hard to breath. The toad too has a surprise for him; he has regrown its head and front legs. Not only that, but three other toads, smaller than the first one, have grown from the detached appendages! Now there all four very large beasts staring back at him. “My children and I will go now and spread across the land. We will kill all the dreams of man, together as one, because that is the way we will control him and that is our reason. He will be submissive or die, like you are now. None will know freedom, individuality or even happiness. So good-bye, kind host, because we need more,” the monster calmly states. With that said, it eats the man. The toad then puts all its strength to its massive back legs, now bigger than the man, and slams into the door, knocking down the whole wall in the process. He leads the procession of ravenous brutes out and down the road, a chorus of simply, “MORE!”- As they go. The toad laughs in reply, then answers, “Why did I eat the man and his family after all they had done for me? Why did the three of you eat so many who put trust in you not to do so? Would you not eat me if you could? You already know the answer to your questions. There can only be one of us in the end. That is inevitable.” He leaps forward, causing the earth to shake, and eats the smaller toad. Without anything else to eat, the toad dies, completely alone. His kingdom is a silent wasteland and his appetite has destroyed everything in the end, including himself. 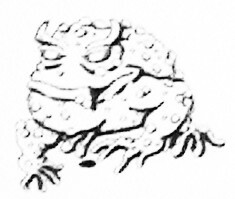 The fable ‘The Man and the Toad,’ is about the dangers of cronyism; the toads are the symbols of the collusion between the government, the capitalists, special interests and unions. As a single entity each is dangerous, but in collusion they are deadly. As is the case with such things, these entities start small and innocuous, but quickly grow feeding off their host. When the host dies, they move onto the next to feed off. At some point all the hosts are gone and the toads are forced to feed off each other, because sharing is not in the nature of the toad, as is the same in government. The government sets the rules and the example for the rest to follow. If the government were to lead with a positive example, cronyism would die off. Cronyism won’t ever die off however, because there will always be self-serving authoritarian government officials. The birth of this tale is actually from a dream I had for a couple of days in a row. It was of a boy getting his arms bitten off by an enormous toad. After reflecting on the dream, it grew into this tale.